Doing the Math Paying points can help you attain a lower interest rate. When you pay (on average) 3% of the loan amount initially, the savings for the term of the refinanced mortgage can be substantial. Please talk to a tax professional before acting on advice that any paid points can be deducted on your taxes. Speaking of taxes, when your interest rate is reduced, it follows that you'll also be lowering the interest amount that you may deduct on your federal income taxes. This is one more cost that some borrowers consider. Call us at 804-433-1576 to help you do the math. Ultimately, for most the amount of up-front costs to refinance are made up very quickly in monthly savings.  We will work with you to figure out what program is ideal for you, considering your cash on hand, the likelihood of selling your house in the near future, and how refinancing might effect your taxes.